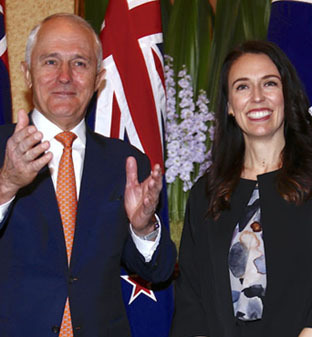 Malcolm Turnbull (l), now deposed prime minister of Australia, with prime minister of New Zealand, Jacinda Ardern (r), in at least somewhat happier times than today! MELBOURNE, AUSTRALIA. REPORT FROM GREG BARNS. Australians used to laugh at Latin American nations like Argentina and Ecuador, which in recent decades turned over their leaders with astonishing regularity. But now the boot is well and truly on the other foot. Today saw the demise of Australia’s fifth Prime Minister in 11 years. The Liberal (and moderate liberal) Malcolm Turnbull, who headed the Republic campaign to end Australia’s ties with the British monarchy in 1999, was deposed as Prime Minster courtesy of a hard-right insurgency inside his party, as he himself described it.? His successor, the conservative Christian (but still Liberal) Scott Morrison, assumes office with doubts about whether he can command a majority in Australia’s lower house, the House of Representatives. 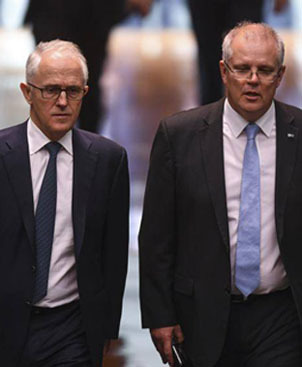 Malcolm Turnbull (1) with his former Treasurer Scott Morrison (r), who finally became the “consensus candidate” in a Liberal leadership contest provoked by what Turnbull has called a hard-right insurgency against his government. The last Prime Minister to see out his term in Australia was the Liberal John Howard — a great influence on Stephen Harper in Canada. Mr Howard was voted out of office in 2007 and replaced by Kevin Rudd of the Australian Labor Party (ALP), who was in turn deposed by the ALP’s Julia Gillard in 2010. Ms Gillard was then undermined by Mr Rudd who got his old job back for six weeks, before losing an election in 2013 to the Liberal’s Tony Abbott.? Mr Abbott, an arch-conservative Anglophile, lost in 2015 to Mr Turnbull who had challenged Abbott for the Liberal leadership. Confused?? Well so are many Australians, and angry too at the self interest of their political class.? The campaign to unseat Mr Turnbull has been so chaotic that many are now saying the Liberals, who have been the major conservative organization in Australia since 1944, are now finished as a political force. The influence of media mogul Rupert Murdoch and the so-called Sydney shock jocks, the Rush Limbaughs of Australian radio, was apparent in the consistent attacks in recent months on the moderate Mr Turnbull. The favoured candidate of the Murdoch media and other right-wing media outlets has been? the Immigration Minister Peter Dutton.? Mr Dutton belongs in the nativist hard-right camp — hostile to migrants, contemptuous of ‘out of touch’ judges, and opposed to climate change policies. The good news about the Australian Liberal leadership contest, some will say, is that Rupert Murdoch’s favoured (and most Trumpian) candidate, Peter Dutton, did not win. Murdoch who is now married to Jerry Hall — also mother of four of Mick Jagger’s children — was probably not too disconsolate. Many thanks to Getty for photo. But Mr Dutton’s backers did not bank on Mr Turnbull’s tactical skills.? Prime Minister Turnbull cast some doubt on Mr Dutton’s ability to remain in parliament because of a provision in the Australian Constitution, which prohibits MPs from earning money from the government : Mr Dutton’s family owns childcare centres which receive government subsidies. Mr Turnbull also controlled the timing of the request for a leadership ballot, and this meant that the alternative conservative Mr Morrison had time to garner enough votes to win the Liberal leadership. Mr Morrison, however, may have to call an election immediately, even though one is not officially due until May 2019, next year. The Liberals now have a one-seat majority in the 150-seat lower house, and Mr Turnbull has indicated he will quit his Sydney electoral district immediately.? Unless the opposition ALP agrees to a pair, which would ensure one of its MPs did not vote, Mr Morrison and the Liberals may lose a confidence motion in the House. Meanwhile the events of the past week have bewildered Australians. One of? the reasons for frequent leadership changes is because the rules of the Liberal Party mean only MPs get to vote.? In order to avoid its similar experience with Ms Gillard and Mr Rudd, the ALP has moved to a system where all members of the party can vote for the leader. The moderate Liberal Mr Turnbull had a difficult job as Prime Minister. To become leader he cut a deal with the dominant right-wing faction of his party, which meant he agreed not to resurrect the Republic debate and not to pursue other liberal causes he believed in, such as a carbon tax or emissions trading scheme. 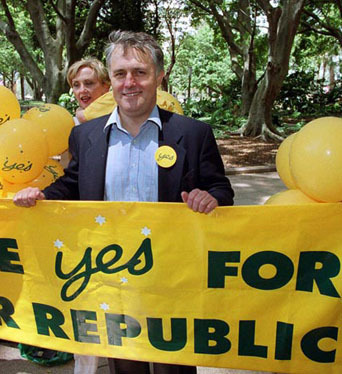 Malcolm Turnbull during the 1999 Australian Republic referendum — which his side lost (on a technicality some would say) 55% – 45%. 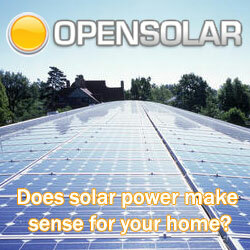 It is likely the Australian Labor Party will win the next general election whenever it is called.? And the party and its leader Bill Shorten are committed to an Australian Republic.? They may even be able to entice Mr Turnbull, as an ex-Liberal Prime Minister, to campaign with them and so turn his Australia first dream of the late 20th century into a 21st century democratic reality. If this does happen, it? may give Australian politics some fresh interest for Canada. (If the struggle between the hard right and the more moderate Malcolm Turnbull inside the Australian Liberal Party doesn’t already seem at least vaguely reminiscent of Maxime Bernier’s resignation from Andrew Scheer’s Conservative Party only yesterday!) And if an Australian Republic does finally grow out of the summer 2018 hard-right insurgency against Mr Turnbull, it will not be a consequence that the insurgents intended. Greg Barns is a political commentator and former political adviser in Australia.? He worked closely with Malcolm Turnbull on the 1999 Republic Referendum and followed Mr Turnbull as National Chair of the Australian Republican Movement in 2002.? Mr Barns is author of ‘What’s Wrong with the Liberal Party?’ (2003 Cambridge UP). Twitter @BarnsGreg.